CliniqueLiquid Facial Soap Mild 6.7 oz. The first step in Clinique's 3-Step Skin Care System. 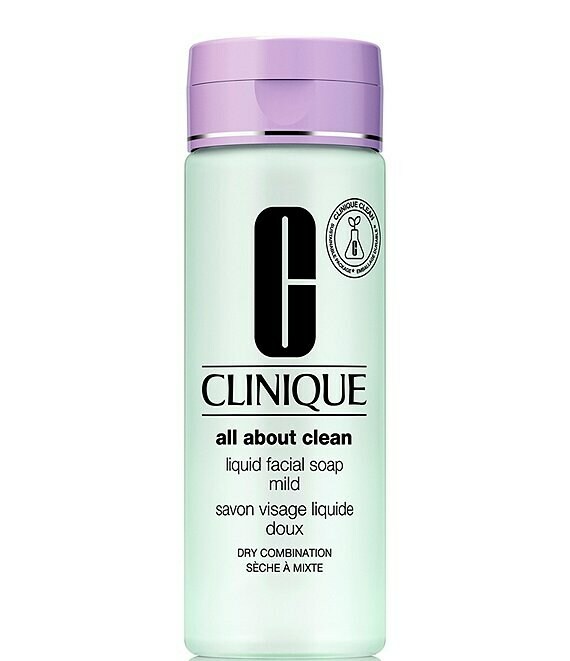 All the benefits of Clinique's dermatologist-developed Facial Soap in a liquid formula. Cleanses without stripping protective lipids. Preps skin for the exfoliating action of Clarifying Lotion. Convenient pump dispenses just the right amount.